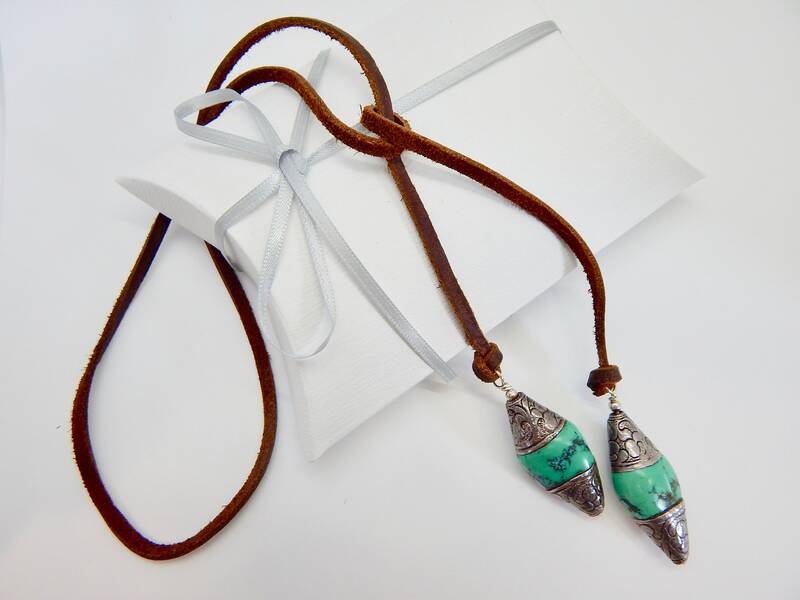 A wonderful one of a kind, antique tear drop silver and turquoise twin beads hang from soft and supple leather. 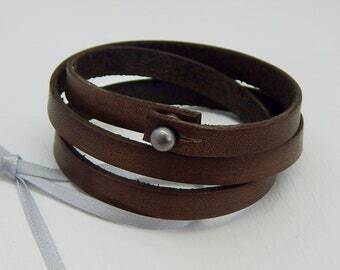 Beads measure about 1 3/4" in length and about 3/4" at the widest part of bead. 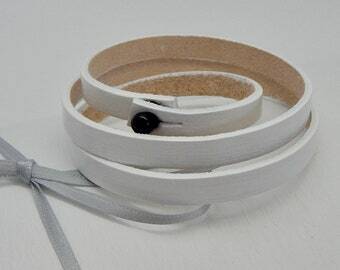 This is an easy to wear style and can be gently tied at any length such as a choker or a graceful necklace. The total length of the necklace is 29 inches.